Extreame Savings Item! Save 45% on the CAJA 20 GOMAS MILAN 420 RECTANGULAR (MIGA DE PAN) by MILAN at Stickman's Blog. 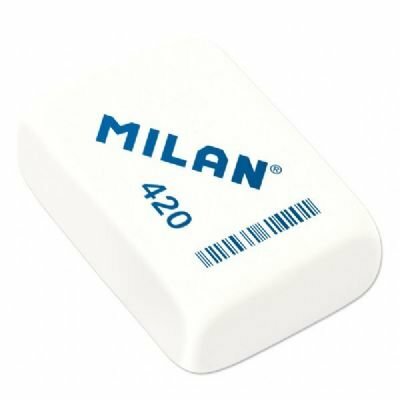 MPN: 420. Hurry! Limited time offer. Offer valid only while supplies last. Suitable for removing strokes from most graphite pencils on all kind of surfaces. Square shaped erasers. 20/box, color may vary. 1 5/8'' x 1'' x 1/2''. If you have any questions about this product by MILAN, contact us by completing and submitting the form below. If you are looking for a specif part number, please include it with your message.